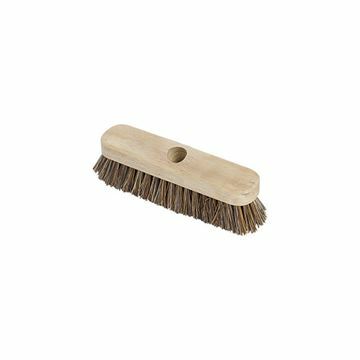 Natural bassine filled wooden stock. 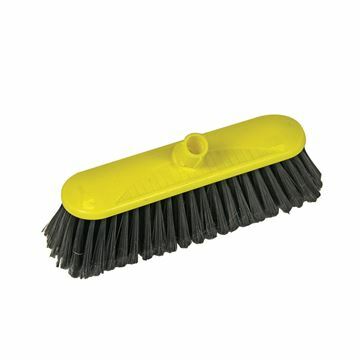 Ideal for sweeping on pavements, pathways and patios. 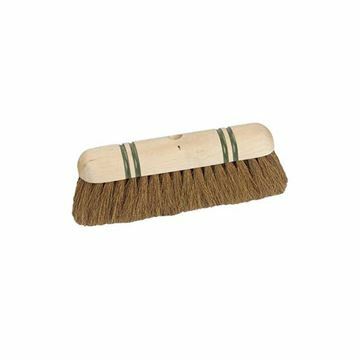 Natural coco filled striped, round backed wooden stock. This is ideal for sweeping dry, dusty surfaces. 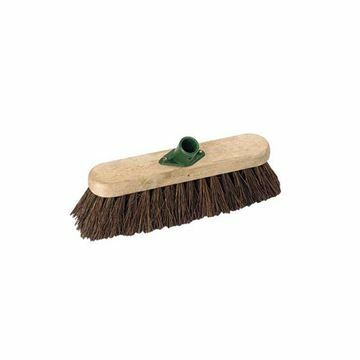 WOODEN DECK SCRUBBING BRUSH - 9"
Stiff 229mm deck scrub. 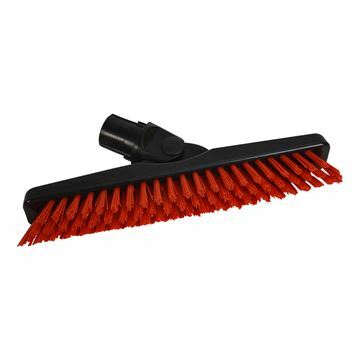 Ideal for household and industrial use in wet conditions. 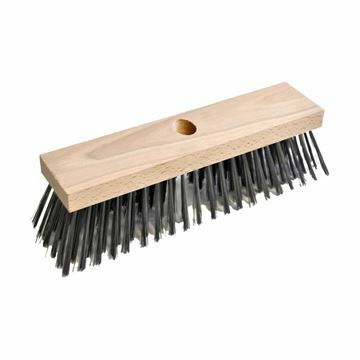 Round steel wire filled wooden stock, this is ideal for cleaning concrete in either wet or dry conditions. 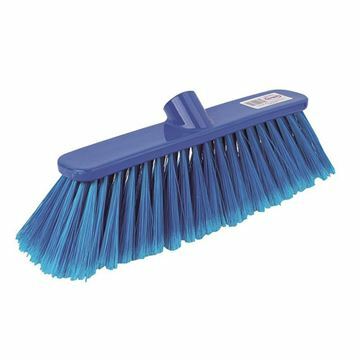 Colour coded for hygiene sensitive areas, helping to reduce the risk of cross-contamination. 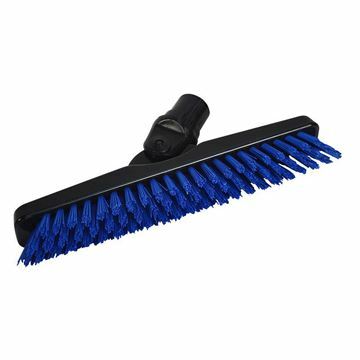 Classic styling with hard bristles for outdoor sweeping.